Rewrote the code for the SkyDrive cloud service. Now, it supports multi accounts! 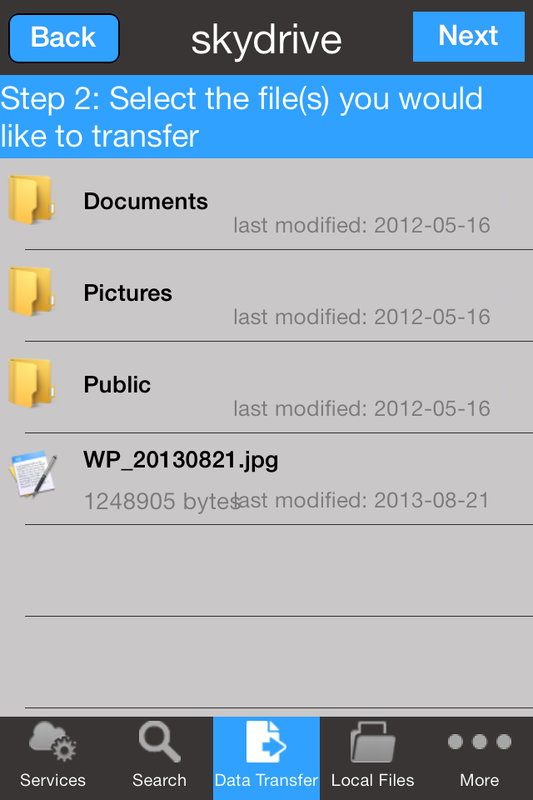 Here we see the files on the SkyDrive account. If we double tap on the file the screen in the second image appears. This indicates that the app has turned the Bluetooth device on, and it is looking for other devices to pair with. 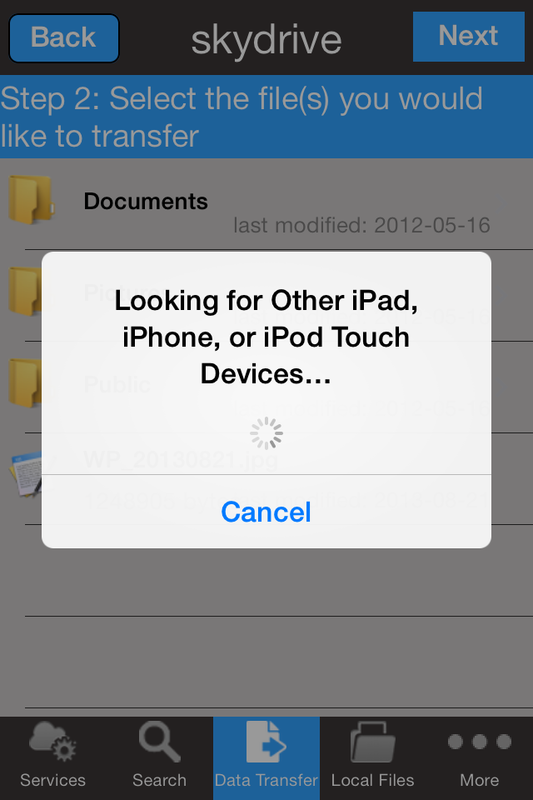 Once the pair is achieved, the application will copy the selected file to the other device. If we had doubled tap on the void or on a folder, we would also have seen the screen in the second image, but, now, the application is turning the Bluetooth device on to receive the file. Once the pair is achieved, the application will save the file either on the current folder or on the folder that we tapped on it.